HMD Global recently launched higher memory variants of its Nokia 8.1 smartphone and now the company seems to be set to launch higher RAM/storage variants of its Nokia 6.1 Plus and Nokia 5.1 Plus smartphones. According to a report by NokiaPowerUSer, the company is planning to add 6GB RAM with 64GB storage variant of Nokia 6.1 Plus, while the Nokia 5.1 Plus will get two new variants i.e. 4GB RAM + 64GB internal storage and 6GB RAM + 64GB internal storage. As per the report, the new variants could be launched anytime this month. Further, the report also mentions the pricing of the new variants. The Nokia 6.1 Plus 6GB RAM + 64GB inbuilt storage could be priced at Rs. 17,499, while the Nokia 5.1 Plus 4GB RAM + 64GB inbuilt storage variant could bear a price tag of Rs. 12,499 and 6GB RAM + 64GB inbuilt storage variant could bear a price tag of Rs. 13,999. Notably, HMD Global had recently cut the prices of its Nokia 6.1, 6.1 Plus, 5.1, 5.1 Plus and 3.1 smartphones. The company had also started retailing the 5.1 Plus and 6.1 Plus offline. To recall, the Nokia 6.1 Plus was launched in India with a price tag of Rs. 15,999 for the 4GB RAM + 64GB inbuilt storage variant. The Nokia 5.1 Plus 3GB RAM + 32GB inbuilt storage variant was launched at Rs. 10,999. However, after the recent price cut the former is being sold with a price tag of Rs. 14,999, while the latter is being sold for Rs. 9,999. 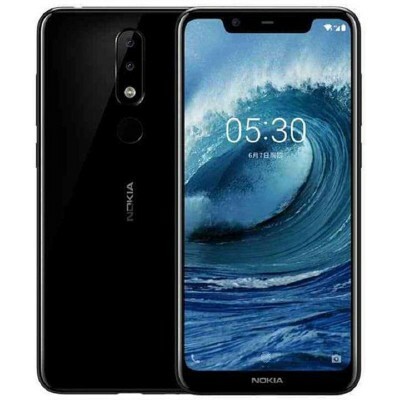 The Nokia 5.1 Plus features a 5.86-inch HD+ display with screen resolution of 1520 x 720 pixels and 2.5D curved glass. Under the hood, the phone is powered by 2GHz octa-core MediaTek Helio P60 processor along with 3GB of RAM and 32GB of internal storage, which can be expanded further up to 256GB via micro SD card slot. The dual-SIM phone was launched with stock Android 8.1 Oreo operating system out of the box, but it now runs on Google’s latest Android 9.0 Pie. In the camera department, you get a dual rear camera set up comprising of a 13-megapixel primary sensor with f/2.0 aperture and PDAF autofocus + a secondary 5-megapixel sensor for depth sensing. The front gets an 8-megapixel selfie camera with f/2.2 aperture. All of this is backed by a 3,060mAh capacity battery. 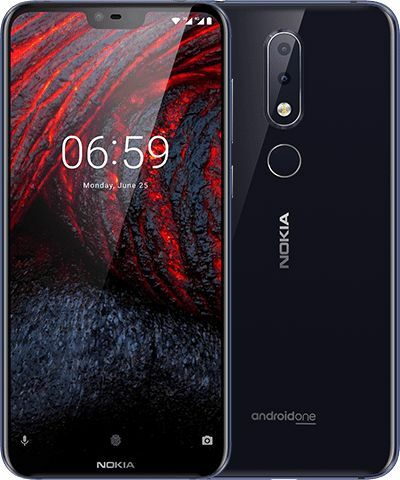 The Nokia 6.1 Plus sports a 5.8-inch full-HD+ IPS LCD display with 2280 x 1080 pixel screen resolution, an aspect ratio of 19:9 and 96 percent colour gamut. The phone is powered by Qualcomm’s Snapdragon 636 SoC. In terms of optics, there’s a 16-megapixel selfie camera with f/2.0 aperture and a dual rear camera consisting of a 15-megapixel primary sensor with f/2.0 aperture + 5-megapixel secondary sensor with f/2.4 aperture. Both Nokia 5.1 Plus and Nokia 6.1 Plus have the bothie feature and AI-assisted portrait lighting. In terms of biometrics, there’s a fingerprint scanner on the back. It is fueled by a 3,060mAh battery with Quick Charge 3.0. Stay tuned for more updates on Nokia 6.1 Plus and Nokia 5.1 Plus in India.